Mar. 22, 2010 Awhile back I wrote about the ‘virtual walk’ for World Water Day to raise awareness of those in water-stressed regions who often walk six miles or more to bring water to their villages. When kids brush their teeth with gushing faucets on, or we wash our pets, cars, hair and dishes with ease, it’s hard to remember that over a billion people don’t have access to this thirst quenching goodness that we so often take for granted. So this year on World Water Day, I’m thrilled to share the first ever book to web creation by Dream-Village.org (the social enterprise who won the IdeaBlob competition I wrote about) to educate and activate kids about the need for Global Water. 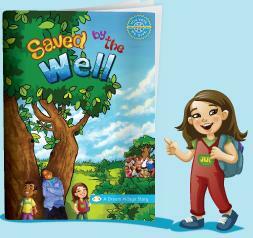 Saved by the Well is the first in a series of socially responsible “you vote, we give” book-to-web interplays, that help kids explore important global issues while empowering them with ways to take action on the true stories within the pages. 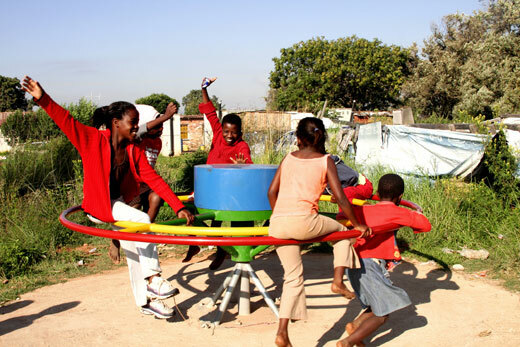 Part literacy, part philanthropy, with a dollop of 21st century digital fun, the book comes alive as the characters tell the story of Play Pumps International, the nonprofit known for kids merry-go-round play structures harnessing kids’ playful energy to pump for potable resources. Fun! It’s a brilliantly positive use of multi-media in a mashup that has a sum total power that is greater than its parts. Just love it! Today, on World Water Day, I invite kids and educators to get to know founder Suneet and his Dream Village team from the inside out, because this model for sustainability and interconnectedness of all beings and resources is one that we’ll no doubt hear time and again as we forge forward toward the 2015 Millennium Development Goals. And while you’re at it, give 14 year old founder of “LilMDGs.org,” Dylan Mahalingam your vote in the Best Buy @15 challenge for a $5K mini-grant to inch this next generation of youth leaders ahead toward creating a better world…A ‘Dream Village’ if you will, where poverty and hunger give way to education, equity, and a healthier, more humane planet. Here’s Suneet Bhatt, visionary founder of Dream-Village.org to tell you more about his exciting new offline to online bridge-building. Hope you’ll support his incredible work, it’s a social entrepreneurial model that you feel GOOD about investing in…meaningful messaging and acquisition of knowledge in fun, fresh ways. Amy Jussel, Shaping Youth: How did you come up with the conceptual development of the Dream-Village “book to web portal” user experience? We want to start offline, bring you offline to enrich the experience, and then send you off into the real world to make a difference. That’s why we are trying to avoid creating a virtual world where children spend most of their time. We don’t want to create yet another product that keeps children in front of a screen (computer, TV, mobile, or otherwise). The concept came to me when I was consulting for Global Giving and helping them create a charitable gift card program. Unfortunately, the only content available on these topics was targeted at grownups, who then had to translate or retell in a format that children could understand. My reaction? Why not create content specifically for this purpose. Amy Jussel, Shaping Youth: Wonderful. 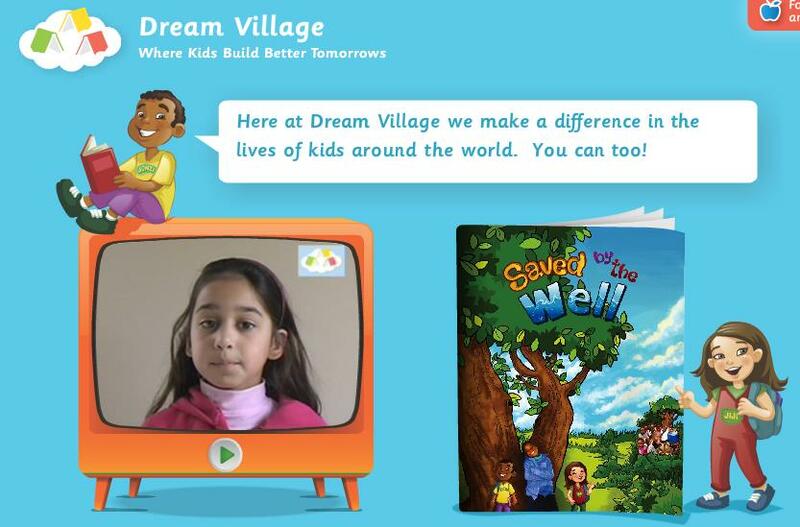 Is it fair to say DreamVillage books are sort of a Webkinz social entrepreneurial model to benefit charities? What other revenue models did you look at as a change agent for sustainability and brand-building? And…Did PlayPumps International find you or did you develop the book targeting them? Suneet Bhatt, Dream Village: Absolutely—that’s what we say in our business plan and pitch deck! We also compare ourselves to products like “Robot Galaxy” and “Karito Kids.” There are a number of comparable social enterprises. As for PlayPumps International…we found them. I emailed them through their website. I had heard of PlayPumps through my work at GlobalGiving and when we came up with our model of “Learn. Vote. Do.”, I felt like they would make a great first book. It was perfect, and we thank them (specifically Marissa Valdex, my contact there at the time) for taking a chance on us. Our second book, “The World’s Greatest Pillowfight” is in final production stages and should be available in 6-8 weeks. Our third book, “Priceless: Arvind’s Story” should be available by early summer. And we have 4 additional books in the pipeline. The issue is not coming up with ideas (which are infinite)—the issue is focus. We’ve decided to slow down new book production and see if we can get traction on the first few books we put in the market. What research/motivation focused your vision in this direction and how did your development team design the project accordingly? Suneet Bhatt, Dream Village: It’s a group of friends who believe in the idea, sharing, talking, discussing. We were using these words as we described the project to other people, and we then decided to make it our tagline. I’ve done a bit of work in helping companies define and redefine their brand identity—the best approach is typically to start with how people talk about the company and its work, at the current point in time. As a start-up, our focus group extends as far as our hands, voices, and emails take us. We ran a few quick surveys on SurveyMonkey to validate our name (Dream Village) and our tagline. Suneet Bhatt, Dream Village: I find these questions to be interesting. So much focus on testing and research. We didn’t really do that much to be honest. Much of it was intuitive and opportunistic to start. The need was obvious based on my work with GlobalGiving. The first story basically wrote itself. The specific target market is based on what’s underserved or not served at all…(Karito Kids and DoSomething.org all skew a bit older than our demographic—and in the case of Karito Kids, focuses mostly on little girls). And the causes in the first issue are all tied to the core issue in the book (that’s our approach, actually). Issues need to be relevant and in context. Without context and without a narrative that places these items in context, it’s difficult to connect the child to the issue at hand. The core issue in “Saved by the Well” is water. But without access to water, villages struggle to grow their own food—so water now relates to food scarcity and nutrition. Also, without readily accessible, clean, fresh water, children often have to spend their days walking to far-off water sources to bring water back for their families—or worse, they are sick from dirty, unsanitary water and can’t function. Both examples make it difficult for children to attend school—so therefore, education is an issue. We don’t force causes on children. We introduce them to actual causes that relate to the story, absolutely. That gets us to the “Vote” point as well. We further expand on these issues online, so children can explore and make their own decisions about what’s important. THEY decide with their vote—if they believe education is the most important point, they vote for education. We count votes in aggregate and donate 50% of our profits based on how our readers vote. Amy Jussel, Shaping Youth: If you could team Dream-Village with any corporate or nonprofit partnership to pay it forward into a more robust outreach to make a difference in the world, who might it be and why? Suneet Bhatt, Dream Village: The National Education Association (NEA). We want to get our books in classrooms and in front of elementary school children. We also want this to be a collaboration between grown-ups and children—so ideally, there’s a grownup reading each book to or with a child, allowing for discussion and conversation. For that reason, a partnership with a group like the NEA (or the Boys and Girls Scouts Association) is ideal. Meanwhile…when you’re brushing your teeth to start your day, think of those who literally could be ‘Saved by the Well’…and appreciate that tap! This is another way of educating the children, the new generation on how to conserve water and to care about mother earth. It’s a fun and interesting to read this kind of books specially for the children. This is great. Really nice post. Very Informative and helpful post. thank you.